View photos taken throughout Terry Redlin's life. From infancy to adulthood, the Photo Gallery gives us a colorful glimpse at the man behind the paintings. Some photos also highlight the construction phase of the Redlin Art Center. Guests are invited to pull up a chair and visit while studying the softly lit pictures hanging on the wall. 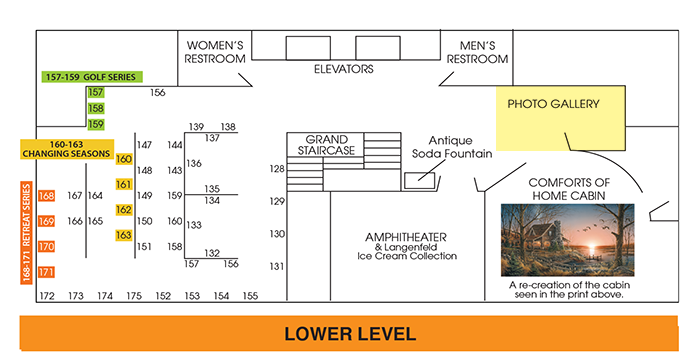 Stroll through the Photo Gallery on your way to the Comforts of Home Cabin and Amphitheater. You can also view the location by downloading our gallery map.